These security deposit bags with tear off receipt and unique serial numbers are the perfect bag for deposits. * The bag number and receipt is on the orange release liner. 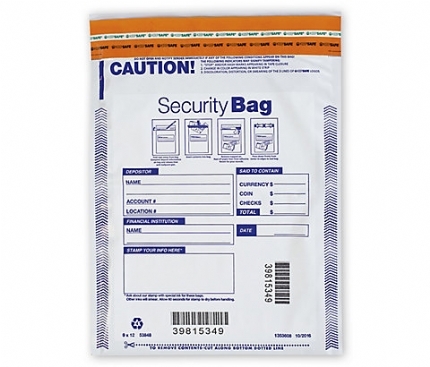 First you would need to pull off the liner and then seal what is contained in the bag and the serial number on the liner will match the serial number on the bag itself to be used as the receipt.